Australia is best known for its big shirazes, but certain areas are well suited for other varietals. The Limestone Coast is one area that does very well with cabernet. Australian cabernet is a very different style than California cabernet, which always brings us back to the dirt or terroir as the French like to say. Many Aussie cabs are ready to drink young and this one is definitely ready now. 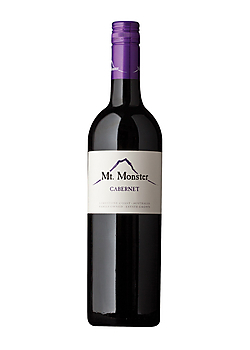 This cab is smooth, velvety and carries the typical up front fruit profile of Australian red wines. But is still has a solid structure and a clean finish. We recently had this with filet mignon covered with gorgonzola cheese sauce and it was outstanding. The Wine Spectator rated it 90 points last April. I found it at Total Wine for $15. I was surprised to find it because there were only 2000 cases produced. I hope I can get there again before its gone, maybe you can too!